Very cool game ! Great 3D, nice graphs and very challenging ! I really liked this. I haven't seen 3d with the Thrust mechanic before and it worked really well. The only issue I had was the lighting - everything seemed a bit dark (I know, it's a cave). 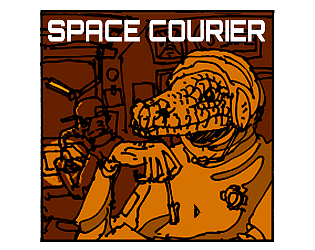 The aliens and their voices were excellent - they really don't want deliveries do they? I was half expecting to hear "get off my lawn!" Nice graphics and lighting, very tricky to pilot the ship! Nice one. Good use of the 3D camera in a 2D world. Somehow flying that thing is a bit too difficult in the beginning. Especially when delivering messages. 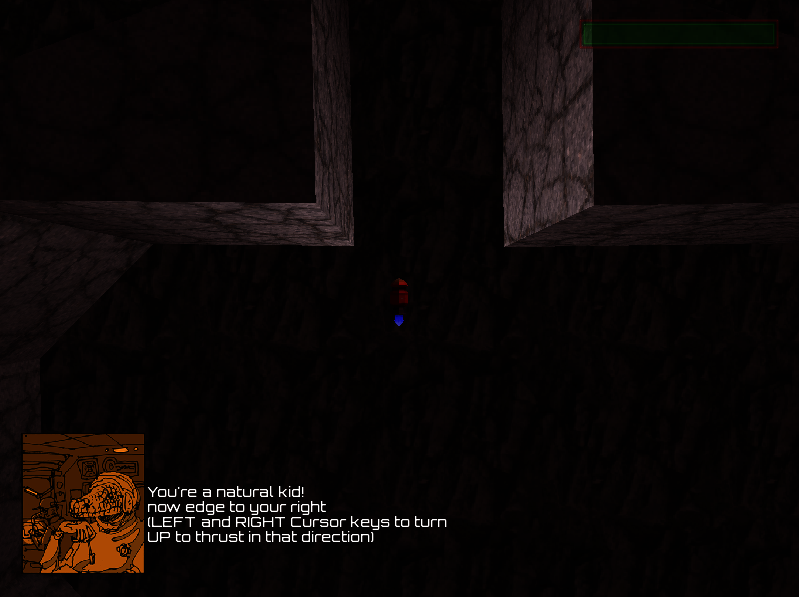 Using Inkscape as a level editor looks interesting as well! Entertaining houmor, pleasant text speech, well designed camera. "Killed by incompetence", haha, seems about right. Really like the 3d graphics/2d gameplay approach. Fun one! Similar to old school lunar lander but with shooting (and maybe even harder!) -The camera is cool how it pans as you slow down/speed up. I personally welcome our crocodile overlords, they seem more efficient than our native postman. I really liked the idea, still not finished I got to level two, stupid things keep killing me. 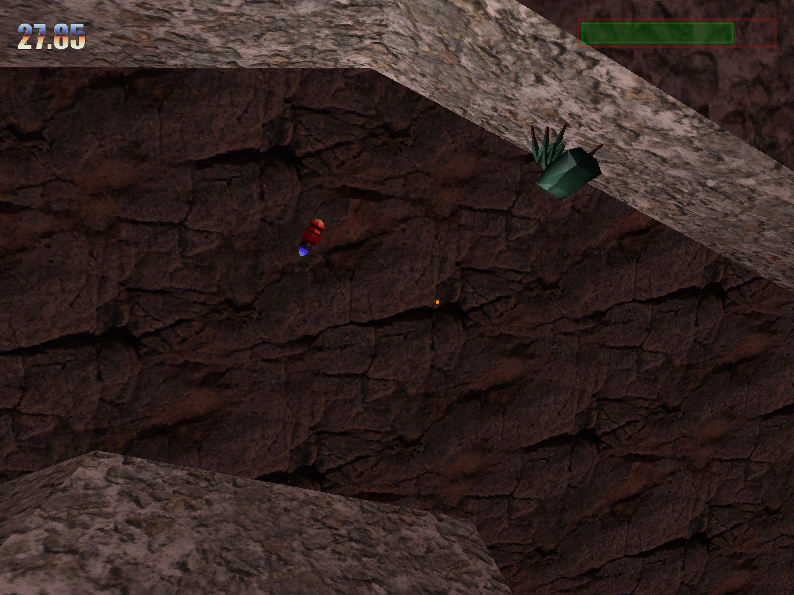 Very hard and cool 3D game, the reptile and the brain are funny. More challenging levels, I like that!